although in a much friendlier and more trusting way. 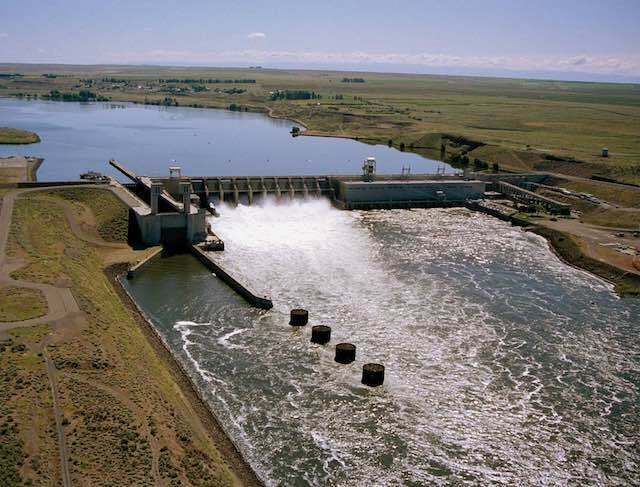 The Bonneville Power Administration has renegotiated an extension of the Columbia Basin Fish Accords for four years with all its partners except the State of Washington, and has released the proposed agreements with states and tribes for public comment. The draft agreements uphold Bonneville's determination to keep all its program costs--including fish and wildlife projects--at or below inflation rates, including any new costs from litigation or future Biological Opinion requirements, a BPA official said. "Part of the challenge, and what I really like about the [new] Accords is, it recognizes the challenging situation Bonneville faces economically," Bryan Mercier, executive manager of BPA's fish and wildlife division, told NW Fishletter. "These agreements help us get to the cost-management goals we have in the strategic plan," he said. Although figures in the agreements add up to more than $448 million over four years--averaging more than $112 million a year--Mercier said when subtracting Idaho and Montana programs now being funded through BPA's Fish and Wildlife Program but proposed to move to the Accords, the average yearly cost would be $96.5 million, including inflation. The current Accords, with inflation added, cost an average of $109 million per year, he said. "All of the partners are taking a reduction," Mercier added. Initially signed in May 2008, the original Accords provided more than $1 billion over the last decade "to improve fish survival and habitat, and to advance fish recovery in the Columbia River Basin." Designed to supplement biological opinions for listed salmon and steelhead and BPA's Fish and Wildlife Program, the Accords provided firm and long-term funding commitments from Bonneville for fish projects related to hydro, habitat and hatchery actions. It also provided some assurances that signatory tribes and states would not sue the federal action agencies over operation of the federal hydro system. Specifically, they agreed not to "initiate, join in, or support in any manner, ESA, Northwest Power Act, Clean Water Act or Administrative Procedure Act suits against the Action Agencies or NOAA regarding the legal sufficiency of the FCRPS and Upper Snake BiOps." When it was signed, then-BPA Administrator Steve Wright announced, "These Accords move the focus away from gavel-to-gavel management and toward gravel-to-gravel management. By putting litigation behind us and putting actions to help fish in front of us, we will better ensure that Columbia Basin fish will benefit." Mercier said the new Accords provide similar assurances among the signatories, although in a much friendlier and more trusting way. "I think back then, we didn't know what to expect," he said. "It was a leap of faith that really worked, in my opinion." Mercier said focusing on the work needing instead of whether fish projects would hold up in court as mitigation for impacts of hydroelectric dams benefits everyone. "I don't think we are intending to win in court with these agreements. We're measuring our results by how we are doing with fish," he said. The original agreement was among BPA; the U.S. Army Corps of Engineers; U.S. Bureau of Reclamation; the Columbia River Inter-Tribal Fish Commission (CRITFC); the Umatilla, Warm Springs, Yakama and Colville tribes; and the states of Idaho and Montana. Over the following three years, the State of Washington, and the Shoshone-Bannock and Kalispel tribes also signed. Most of the Accords, including what Mercier called a "mini-Accord" with Washington, will expire in September, unless extended. He said BPA and the other federal agencies continue to negotiate with Washington on a new memorandum of understanding that will not include the same commitments, and will not require public review, as it will not be legally binding. He said the Accords are being renewed for only four years--until September 2022 or when action agencies release a new Environmental Impact Statement for the Columbia River hydro system, whichever comes first--because the new Biological Opinion will have a major impact on BPA's financial situation, and on legal requirements surrounding operation of the federal dams. "That's a major milestone for the hydro system" that will include an honest look at removing the four lower Snake River dams, and a host of other potential mitigation measures, Mercier said. He also said BPA does not want to influence the EIS process by entering into agreements that could impact the outcome. Jaime Pinkham, CRITFC's executive director, said he understands BPA's need to cut costs in the new Accords and to limit the extension to four years. "You've got to be partners in good times and bad," he said, adding, "Bonneville is looking at their revenue flow, and we understand the challenges they face." The Accords, he said, have not only provided long-term funding certainty for important fish recovery projects, but also long-term relationships with new on-the-ground partners. CRITFC recently released a 10-year report on accomplishments of the Accords from projects initiated by the tribes it represents. "When you look at that 10-year report, you've got to be amazed at what is accomplished when you enter into these agreements," he said. "To me, it was a stroke of good business." Bonneville has said that, altogether, the Accords have helped restore more than 8,000 acres of estuary flood plain and reopen nearly 4,000 miles of spawning grounds throughout the Columbia and Snake river basins. Northwest organizations tracking BPA and its funding issues and cuts had different reactions to Bonneville's announcement on extending the Accords. Scott Corwin, executive director of the Public Power Council, said via email: "We will review these extensions closely and with at least two filters: do they move the ball forward for effective fish mitigation, and are they consistent with the critical need to control costs and stabilize budgets and power rates? If BPA is not a competitive supplier in the future and loses too much of its customer base, its program funding in this and many other areas could be threatened." Sean O'Leary, spokesman for the NW Energy Coalition, said Bonneville is failing to meet its obligations under the Endangered Species Act, so its intention to hold spending at or below the rate of inflation, including any new legal obligations, such as spilling more water, doesn't offer much hope. "While the Accords have provided valuable, dedicated, multi-year funding to tribes and the states, they have done so as part of a broader approach that has been inadequate to meet the legal requirements for fish protection and recovery," he wrote in an email. "And decreasing total expenditures is a step in the wrong direction." Terry Flores, executive director of Northwest RiverPartners, said her group supports the spirit of collaboration among the federal agencies, states and tribes. "As we review the Accords we will be looking for projects and measures that are scientifically based to ensure that the investment being asked of BPA's customers will provide real benefits for endangered species," she wrote in an email, adding, "We are understandably concerned with how the Accords might affect BPA's financial situation especially given the uncertainties surrounding future federal hydrosystem operations and costs." The proposed new Accords will be open for public comments through Sept. 26.